The Candler County Public Works Department is responsible for maintaining roads, bridges and associated drainage in Candler County, outside the City of Metter. Public Works also maintains all street signs in the county, and issues road permits for timber clearing. It’s time now to sign up to participate in the annual Great American Clean-up, which will be held on April 6 from 7:30 a.m. until 12 noon. The event will be coordinated from the Billy Trapnell Downtown Park and is being organized by community partners, including the City of Metter, Candler County and the Chamber of Commerce. 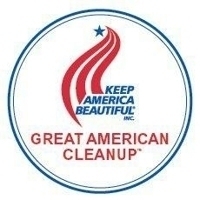 Participants are asked to gather at the downtown park for breakfast at 8 a.m., door prizes at 8:15 a.m. and the clean-up drive, which will begin at 8:30 a.m.It’s time now to sign up to participate in the annual Great American Clean-up, which will be held on April 6 from 7:30 a.m. until 12 noon. The event will be coordinated from the Billy Trapnell Downtown Park and is being organized by community partners, including the City of Metter, Candler County and the Chamber of Commerce. Participants are asked to gather at the downtown park for breakfast at 8 a.m., door prizes at 8:15 a.m. and the clean-up drive, which will begin at 8:30 a.m.
Candler County Public Works operates the Candler County Landfill and Recycling Center. Curbside residential and commercial waste is picked up by the County and deposited at the landfill. Recyclables are separated from the waste stream and diverted to the Recycling Center. New residents can arrange for curbside waste pickup through the Candler County Tax Assessor’s Office. Curbside pickup is included in Candler County property taxes. The Recycling Center is also open to residents for free drop off of newspaper, glass, aluminum, motor oil, batteries, and other recyclables. The Recycling Center cannot take paint and other hazardous materials. Please call 912-685-9579 to check acceptability if you have a question about your recyclable materials. Old tires are accepted for a fee. Monday - Friday7:30 a.m. to 3:00 p.m.
To arrange curbside waste pickup, please call the Tax Assessor’s Office at 912-685-6346.